Deep Purple survived a seemingly endless series of lineup changes and a dramatic mid-career shift from grandiose progressive rock to ear-shattering heavy metal to emerge as a true institution of the British hard rock community; once credited in the Guinness Book of World Records as the globe's loudest band, their revolving-door roster launched the careers of performers including Ritchie Blackmore, David Coverdale, and Ian Gillan. Deep Purple was formed in Hertford, England, in 1968, with an inaugural lineup that featured guitarist Blackmore, vocalist Rod Evans, bassist Nick Simper, keyboardist Jon Lord, and drummer Ian Paice. Initially dubbed Roundabout, the group was first assembled as a session band for ex-Searchers drummer Chris Curtis but quickly went their own way, touring Scandinavia before beginning work on their debut LP, Shades of Deep Purple. The most pop-oriented release of their career, the album generated a Top Five American hit with its reading of Joe South's "Hush" but otherwise went unnoticed at home. The Book of Taliesyn followed (in the U.S. only) in 1969, again cracking the U.S. Top 40 with a cover of Neil Diamond's "Kentucky Woman." With their self-titled third LP, Deep Purple's ambitions grew, however; the songs reflecting a new complexity and density as Lord's classically influenced keyboards assumed a much greater focus. Soon after the album's release, their American label Tetragrammaton folded, and with the dismissals of Evans and Simper, the band started fresh, recruiting singer Ian Gillan and bassist Roger Glover from the ranks of the pop group Episode Six. The revamped Deep Purple's first album, 1970's Concerto for Group and Orchestra, further sought to fuse rock and classical music. When the project, which was recorded with the Royal Philharmonic Orchestra, was poorly received, Blackmore took creative control of the band, steering it towards a heavier, guitar-dominated approach which took full advantage of Gillan's powerful vocals. The gambit worked; 1970's Deep Purple in Rock heralded the beginning of the group's most creatively and commercially successful period. At home, the album sold over a million copies, with the subsequent non-LP single "Black Night" falling just shy of topping the U.K. pop charts. 1971's Fireball was also a smash, scoring a hit with "Strange Kind of Woman." Plans to record the follow-up at the Casino in Montreux, Switzerland, were derailed after the venue burned down during a live appearance by Frank Zappa, but the experience inspired Deep Purple's most enduring hit, the AOR staple "Smoke on the Water." The song, featured on the multi-platinum classic Machine Head, reached the U.S. Top Five in mid-1972 and positioned Deep Purple among rock's elite; the band consolidated its status with the 1973 studio follow-up Who Do We Think We Are and the hit "Woman From Tokyo." However, long-simmering creative differences between Blackmore and Gillan pushed the latter out of the group that same year, with Glover soon exiting as well; singer David Coverdale and bassist/singer Glenn Hughes were recruited for 1974's Burn, and Gillan meanwhile formed a band bearing his own name. After completing 1974's Stormbringer, Blackmore left Deep Purple to form Rainbow with vocalist Ronnie James Dio; his replacement was ex-James Gang guitarist Tommy Bolin, who made his debut on Come Taste the Band. All the changes clearly took their toll, however, and following a farewell tour, the group dissolved in 1976 with Coverdale going on to form Whitesnake; Bolin died of a drug overdose later in the year. The classic lineup of Blackmore, Gillan, Lord, Glover, and Paice reunited Deep Purple in 1984 for a new album, the platinum smash Perfect Strangers; The House of Blue Light followed three years later, but as past tensions resurfaced, Gillan again exited in mid-1989. Onetime Rainbow vocalist Joe Lynn Turner was recruited for 1990's Slaves and Masters before Gillan again rejoined to record The Battle Rages On..., an apt title as Blackmore quit the group midway through the supporting tour, to be temporarily replaced by Joe Satriani. In 1994, Steve Morse took over the guitar slot, fresh from a stint in Kansas; the revitalized group returned to the studio for 1996's Purpendicular, which proved a success among the Purple faithful. 1998's Abandon followed, as well as a 1999 orchestral performance released the following year as Live at the Royal Albert Hall. Deep Purple was given the box set treatment the same year with the four-disc set Shades: 1968-1998, which collected hits, demos, live takes, and unreleased tracks from throughout the years (touching upon all of Purple's different lineups). The late '90s/early 2000s saw the release of several other archival releases and collections (Machine Head 25th Anniversary, Friends & Relatives, Rhino's The Very Best Of, and Days May Come and Days May Go: The 1975 California Rehearsals), as well as a slew of DVDs (Total Abandon: Live Australia 1999, In Concert with the London Symphony Orchestra, Bombay Calling, and New Live & Rare). Former member Blackmore also kept himself busy after leaving the band by issuing a single album with his briefly resuscitated outfit Rainbow (1998's Stranger in Us All), before forming the Renaissance-inspired Blackmore's Night with fiancée/vocalist Candice Night. 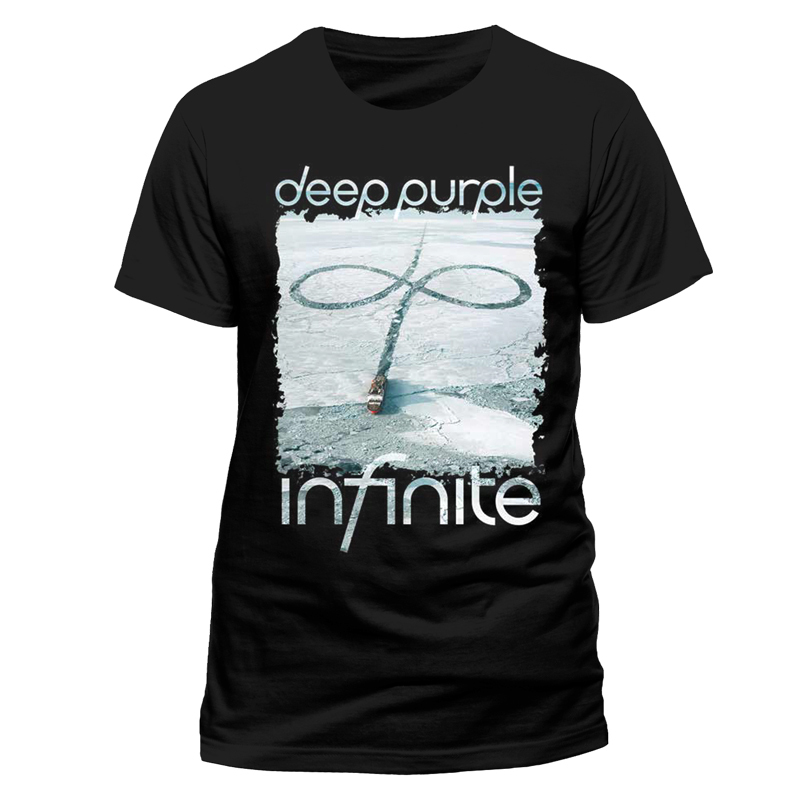 Despite numerous lineup upheavals during their career, Deep Purple remains alive and well in the 21st century.